We are every day people just like you! I (Leslie Hall) am the owner along with my husband, Joel. We’ve been married for 17 years and are high school sweethearts! We are the proud parents of 3 very active boys, Cade (13), Nash (12) and Reid (9). 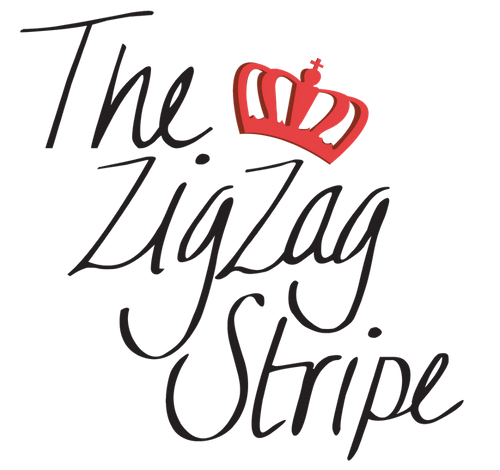 Over the last 5 years, The ZigZag Stripe has had a lot of trial and error along the way. We started in my home office selling on facebook only. With the quick growth, we moved to our first warehouse space. Along the way we tried manufacturing our own product, but in the end it didn’t work out for the better of the company. With the high volume required, we just weren’t selling out at the rate we were bringing it. We went through having store front locations and selling our brand to other boutiques. But in the end, we went back to what we are good at, what made me start ZZS in the first place ... selling super cute clothes via social media. Along the way our employees have grown to a max of nearly 50 and we are now back to only 8 full timers plus our models! The management of store fronts, store associates, overly manned in more places than needed … it was not what I envisioned for ZZS. In 2017 we decided it was time to get back to the basics, get back to what we are really good at. Man, what a blessing it was! Now, it didn’t come without opinions of outsiders, but we’ve rolled with the punches and stayed focus on our end game of making ZZS what it was created to be. Over the years, we’ve had lots of family involved as well. My brother was the first to come and join the ZZS. He made a huge advance in our warehouse and made us so efficient! In the end though, he was given an amazing opportunity at another big company that he couldn’t pass up. My parents both worked for us as well for 3 years, it was fun but it also came to an end when my parents bought our Waxahachie store and turned it into a new boutique, Britches and Blouses. My mom has such a passion for people and loves the store front environment. And if I say so myself, she’s totally rockin’ it. Now, when it comes to our current staff, we really have an awesome team. Our full time staff is me, Joel, Logan, Halee, Kris, Sydney, Melanie and David. Then our gorgeous models, Vanessa, Amy and Erin. When it really comes down to it, there aren’t many “titles” given at ZZS these days. Our staff does what has to get done every single day. Whether we all pitch in to fold and bag product to go on the shelves or we step up the game to pick and pack as many orders as possible to get out the door for the day … we all give 110% every day. We have fun while we are at it too! Don’t be surprised if you walk in to do a local pick up and hear 90’s music playing in the background! We also have daily gas station runs for afternoon monsters! I can finally say that after 5 years of giving this a try and that a try, we are finally back doing exactly what I am passionate about. We can’t express how excited we are to see what the rest of 2018 has in store for us! For those that have been around for the 5 years, we can’t tell you how grateful we are for your loyalty and for the new ladies … we can’t wait to show you more of what we are all about!